It’s a lovely 106 degree day in sunny California. I’m craving something a little sweet and savory, something on the healthier side (obvi) since you know, bikini season. I glance around the kitchen and see the bowl full of fresh zucchini I just procured, mmmm… zucchini bread would do the trick but there is no FREAKING way I am going to turn the oven on in this heat. 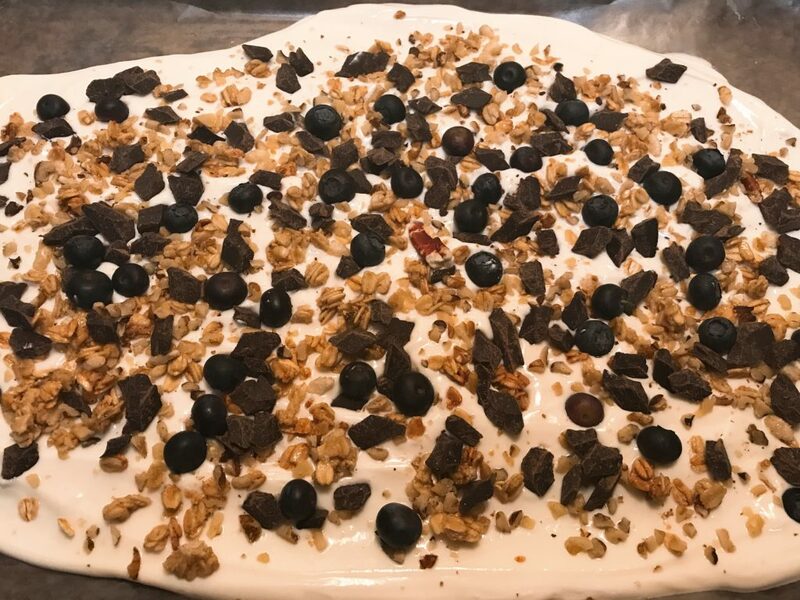 I rummage around the fridge and pull out the following: plain greek yogurt, blueberries and I grab the granola from the cabinet. I guess I’ll just make a dumb old parfait. I know what you’re thinking, “thats the best you can come up with? Where is your creativity? Where is the inspiration?” Well I’ll tell you where it is, burned up by this scorching heat! Then it hit me, why don’t I turn this dumb parfait into a frozen treat! Feeling motivated I grab the raspberry infused honey I picked up from my local farmers market (yes it is as delicious as it sounds), some vanilla extract, some walnuts and what the hell some chocolate chunks too. 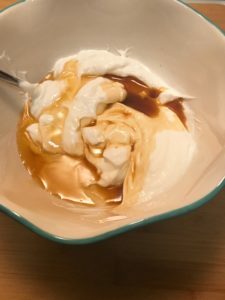 What I concocted next is a slightly sweet, a little savory, and definitely crunchy frozen treat that you can eat and not feel guilty about. 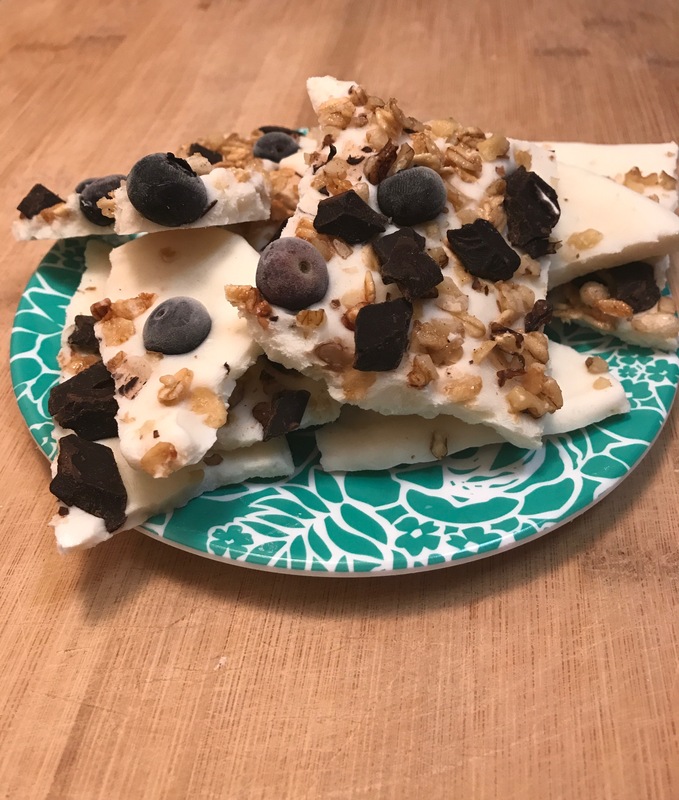 So without further ado… here is my Frozen Parfait Bark recipe. Mix the honey, vanilla extract and yogurt together until smooth. 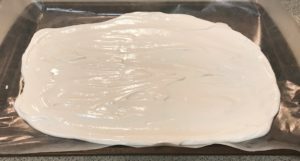 Line a rimmed cookie sheet with wax paper and spread the yogurt mixture out about 1/4 inch thick. Next take your granola and sprinkle away! Add your chocolate chunks, then the walnuts followed by the blueberries. 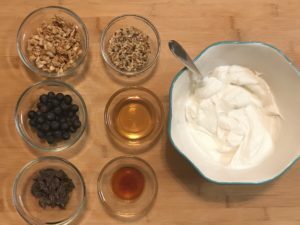 Once you have everything on the yogurt lightly press the nuts, berries, granola and chocolate into the yogurt. Once it sets break it up like a traditional bark and serve. Store any leftovers in the freezer. Boom, thats it. 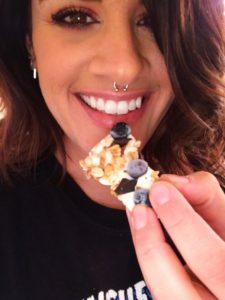 What you end up with feels like a treat that should be bad for you… but it isn’t! Let me know what variations you come up with and don’t forget to tag me and Girls on Food on Instagram! We want to see what you are making! !